All reside in Southern California and are college students who all began playing music as young children. In fact, John and Lance started a band in the 5th grade and Ben and Shannon played together in grammar school. Along the way, they all met up and Alinea was born. Alinea means “new train of thought” which describes them as they say they have a slight touch of ADD. Their original music and sound is considered alt rock with a touch of surf. They play mostly originals but mix in cover songs from all decades. Alinea played the New Year’s Day Rose Parade this year aboard the City of Torrance Float! Good Vibe was created when Slater Heidrich and Brooke Blake’s band “2021”, (formed in 2011), disbanded in 2015 and the duo were at a loss without their guitarist and drummer. In early 2016 band director Edward Benford, introduced Slater to Austin and Gavin which resulted in the band being formed. Soon thereafter Good Vibe started playing at venues across the South Bay gaining a large following. A demand for more performances led to the formation of the Bubble Tour wherein Good Vibe played at many venues in 2018 including the infamous Lighthouse Café, The Standing Room, Tower 12, OBs, Summers, Verte and at the Concerts in the Park series. Good Vibe is very active in fundraising for Mira Costa’s End Epilepsy Club arranging a fundraiser and raffle at Summers Sports Bar for the cause. 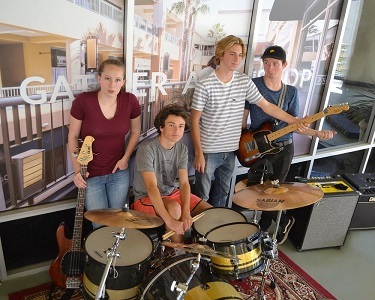 Borderline began nearly 4 years ago and is now one of the premier student bands at Coast Music in Hermosa Beach! They can be seen rocking out at various South Bay Community Events and Carnivals. They also regularly play at Saint Rock and Suzy’s Bar and Grill. They were even featured performing on the mainstage at Fiesta Hermosa in 2017. 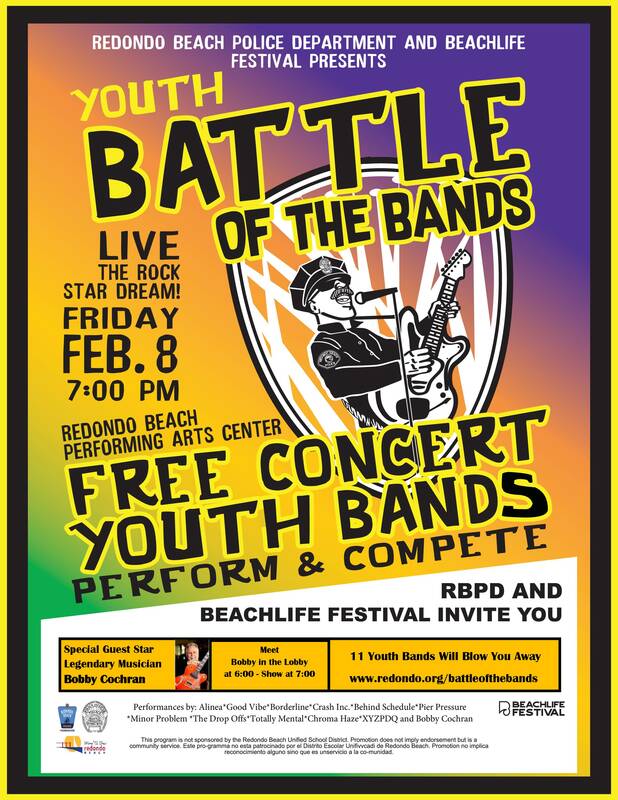 All the band members are between 11 and 14 years old and are thrilled to be competing in this year’s Battle of the Bands! Crash Inc. are a hard rock band based out of Palos Verdes, and they’ve been together for about 4 years. The two founding members Nick and Kevin met in elementary school and have always wanted to perform on the big stage. They connected with drummer (Johnny), bassist (Luke), and guitarist (Arnav) through high school. Their early influences include Guns and Roses and Metallica. Crash Inc. is very excited to play at the Battle of the Bands event. Behind Schedule is a group of five eighth grade friends, all of whom reside in Redondo Beach and attend Parras Middle School. 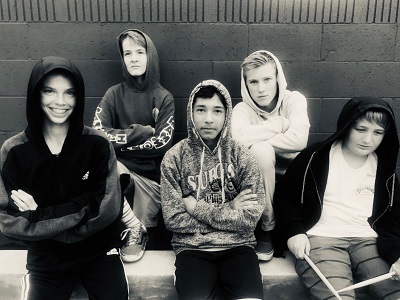 They have diverse hobbies, ranging from soccer, basketball, baseball, Jr. Lifeguards, Fortnight, to name just a few, but they all share their passion and appreciation of music. Their love of music has increased with the support of RBUSD’s music program. All five boys have played multiple instruments for Parras Middle School bands and are super excited to have the opportunity of fulfilling their dreams of being a part of a youth rock band! 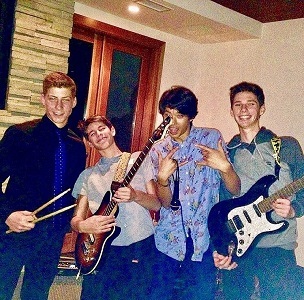 “Behind Schedule” just formed as a band on 12/17/18! Within hours of learning about this fantastic opportunity to perform for their South Bay community, the boys rallied to get their entry in, hence the name. They are beyond thrilled to bring their individual talents together and debut, “Behind Schedule” and we are thrilled to have them participate! 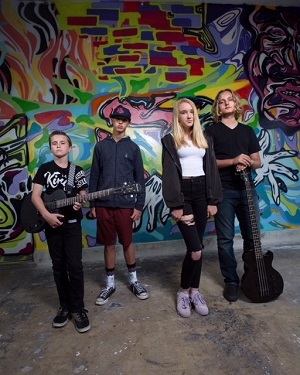 Pier Pressure is a group of 14-16 year old musicians that have been crafting their sound at Coast Music in Hermosa Beach since 2015. 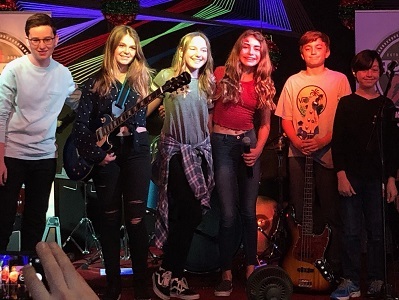 They have enjoyed playing at several local venues including: Suzy’s Bar & Grill, The Lighthouse, Saint Rocke, Toys for Tots Fundraiser, Fiesta Hermosa, Malibu Arts & Music Festival, Polliwog Park and several local private parties. Pier Pressure demonstrates a wide range of talent writing & creating their original songs, as well as covering current pop and rock, along with classic rock. MINOR PROBLEM is a local teen band that has been playing together at local venues for about 5 years. The band members attend Redondo Union and Mira Costa high schools, and their ages range from 15 ½ -17 years old. Band members include the following: Emma Canty, lead vocals; John Forbes, guitar and vocals; Max Hendrickson, bass; Brady Gin, keyboard; and Jacob Less, drums. The band currently plays cover songs in classic rock and pop rock genres. They are working on an original song that they hope to perform soon. In addition to playing music, these kids can be found participating in other activities, such as dance team, volleyball, water polo, pole vaulting, and playing football for their school teams. 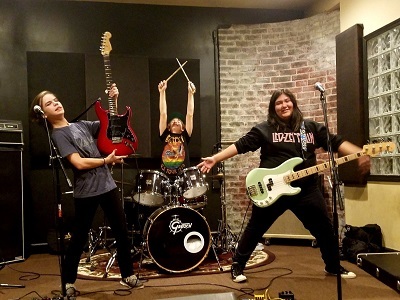 A love of music and jamming brought these four local teen musicians together. All hail from the South Bay. Three attend Mira Costa High School, and the fourth attends St. John Bosco. All are student athletes – members of the Track, Basketball, Surf, Badminton, Football and Lacrosse teams. This talented band performs an eclectic mix of new R & B, older alternate and traditional rock, all with a soulful, yet modern flair that is uniquely their own. Together for just over a year, the band has had fantastic local support, earning slots as the opening act for the Manhattan Beach Concert in the Park, as well as gigs at the Lighthouse, The Standing Room, Summer’s OB’s and The Slip, all before any have turned 18. Totally Mental met at Modern Music School in Pasadena in the summer of 2016. These very passionate and ambitious kids formed their band with the intention of challenging themselves musically and participating in competitions. They are serious about making music! Their favorite music is Alternative/Classic Rock like Rush, Muse, Led Zeppelin, Jack White, Van Halen, Green Day…the list goes on. The band practices weekly and they usually have a gig at least once a month. They have 3 original songs and look forward to releasing an EP soon. These young and dedicated musicians can’t wait to Rock Out on stage, have a blast and show off a little! Chroma Haze is a local band with members from Hermosa Beach, Venice, Beverly Hills and Los Angeles. 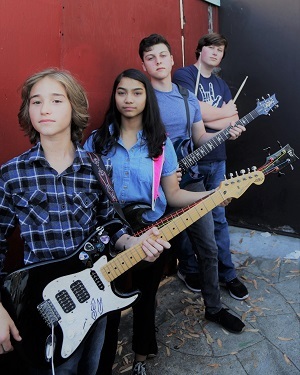 They are a very talented group of young musicians with diverse influences that include Jimi Hendrix, Van Halen, Paramore, Foo Fighters and Metallica. The members of Chroma Haze: Cori Wilson – Bass & Lead Vocals, Gio Conversano – Guitar, Sean Vercos – Guitar and Ethan Makauskas – Drums & Vocals; have played at some iconic venues such as The Whisky, The Lighthouse Cafe, The House of Blues and The Hard Rock Cafe. Several members of the band have competed and WON the Battle of The Bands at the House of Blues for 3 consecutive years, it’s clear that they have rock n roll in their blood! 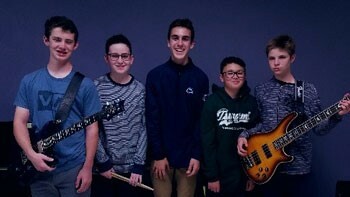 South Bay’s own, XYZPDQ musician ages 12-14 are 4 very dedicated, talented, exceptionally fun musicians. They met through friends of friends and performing. 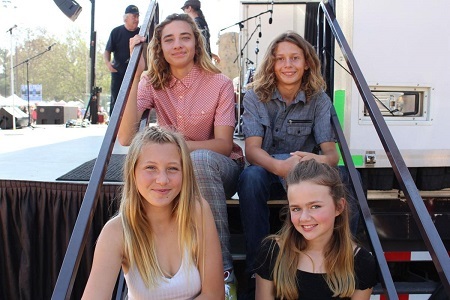 These four are fresh off a win at the Manhattan Beach Battle of the Bands, the Rock Godz Hall of Fame Induciton Ceremony and the Hermosa Beach Tree Lighting Celebration – Rock for Tots.